With more than 250 software functions and PC tools, FANUC offers dedicated solutions for every conceivable CNC application. This makes machining easier and helps you achieve shorter cycle times, higher surface quality, operation efficiency and increased operator safety. 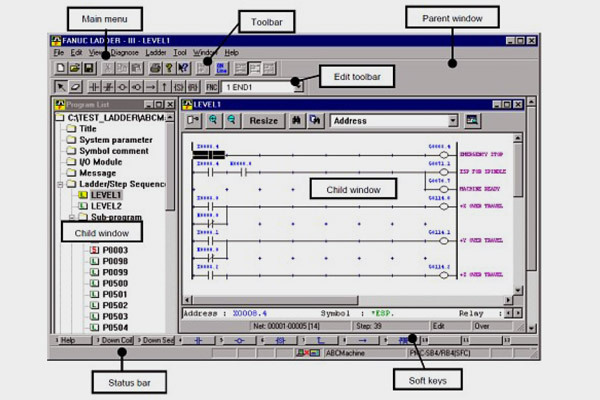 MT-LINKi is a PC software that connects machines in the factory by collecting, managing and making various information about the machines visible. Not only can it connect machines with FANUC CNC’s, but also other peripheral devices (like PLC’s etc.) In addition it contributes to make the machine IoT ready. Information from various sensors can be connected and data can be collected. FANUC TURN MATE I simplifies parts programming to increase the productivity and versatility of your machining centers. To program workpieces using the conversational software, no knowledge of G code ISO language is required. Everything takes place via user-friendly screens. 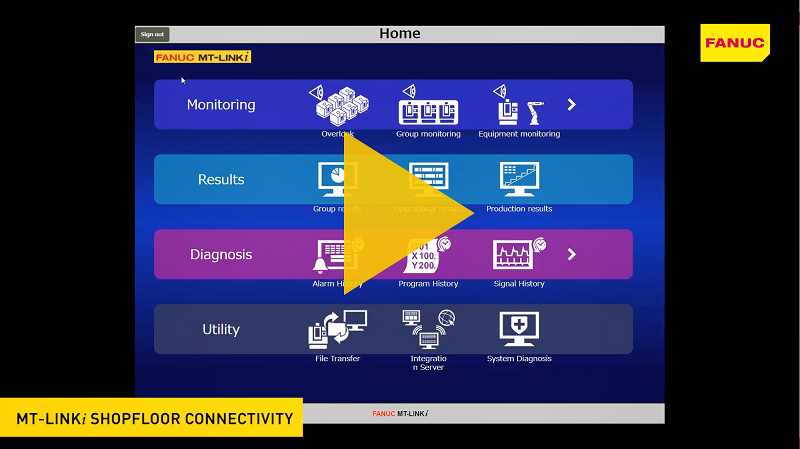 Create a superior software development environment for your FANUC CNCs: NCGuide adds the PMC ladder, machine signal simulation capabilities, and support for the standard FANUC operator panel. 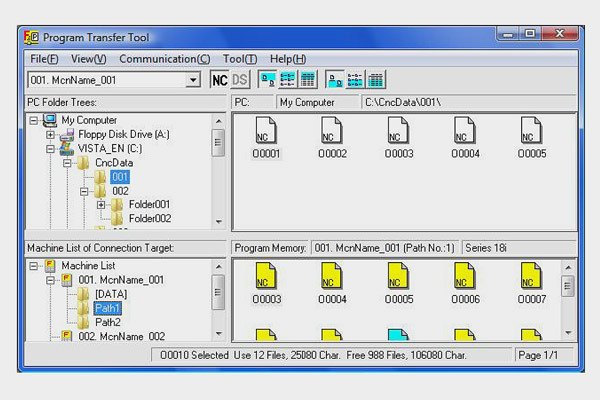 When combined with other FANUC software development tools such as FANUC LADDER III, FANUC PICTURE, C Language Executor and MACRO EXECUTER provide an even more efficient development environment than an actual CNC. 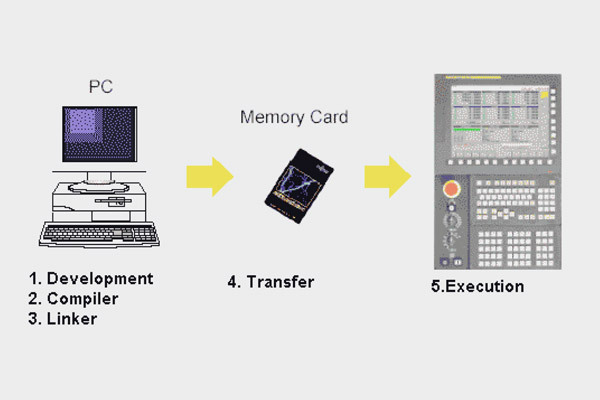 FANUC LADDER-III is the standard programming system for creating, displaying, editing, printing, monitoring and debugging ladder sequence programs for CNC PMC ladder. It works with NCGuide on one or multiple PCs and is easy to connect to the CNC via Ethernet. Your powerful programming language for machining or machine management purposes, the Macro Executor function converts, loads and executes custom macro programmes (P-CODE macro) into F-ROM (CNC Flash Memory). The benefits of this language include high code execution speeds, maximum program safety, easy call procedures and extension of the CNC control function set. 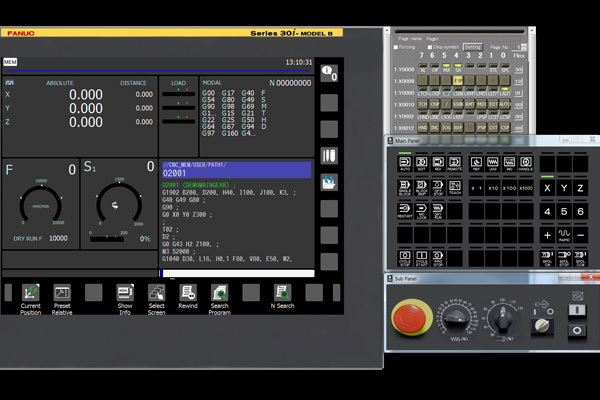 Using the C-Language Executor as a powerful programming language for machining or machine management purposes enables you to develop customised CNC screens, functions and programs, and also efficient Human Machine Interfaces (HMI). It also allows you to add new functionality to your CNC, with machine control functions written in C, and you can modify Macro Programs to follow machine and production evolution. 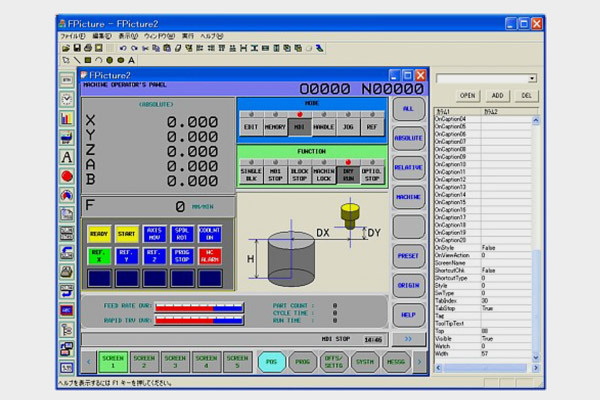 FANUC Picture offers an easy way to create customised operator and HMI screens for complex processes and provides all the functions and features of modern HMI software tools. It supports objects, animations, data and multi language, and features a macro language to run routines to perform tasks. Screens are compiled and stored in the CNC Flash-ROM (FROM) memory and rendered directly by the CNC without requiring a Windows® operating system or runtime. 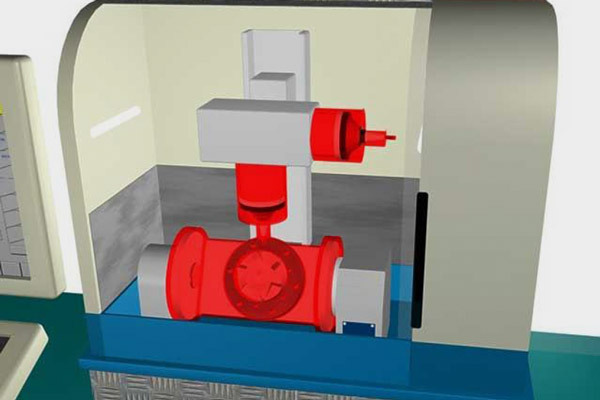 Picture reduces operator errors, simplifies operator work, improves productivity and makes machine and process control easier. FOCAS lets you create customised functions and applications using Windows® and modify macro programmes in tune with your machine and production evolution. 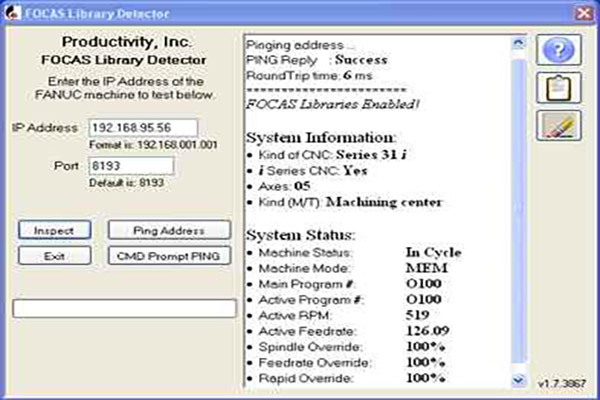 Enabling your PC to interact with your FANUC CNC, FOCAS Library provides everything you need to develop Windows® applications, communicating with your FANUC CNC via Ethernet or HSSB (fibre optics). This Windows® application enables you to set the 30i/31i series' built-in 3D Interference Check functions on a PC. Delivering simplified management of 3D projects, it makes 3D shapes easy, allowing for faster set ups, start ups and more efficient multiple machine and project management. 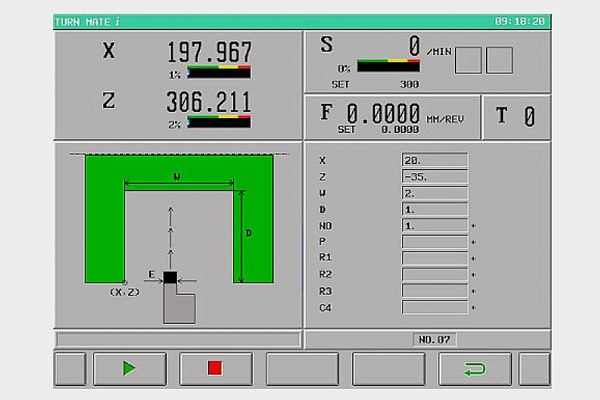 FANUC SERVO GUIDE is a Windows® application designed to make optimizing servos, spindles and axes quick and easy. 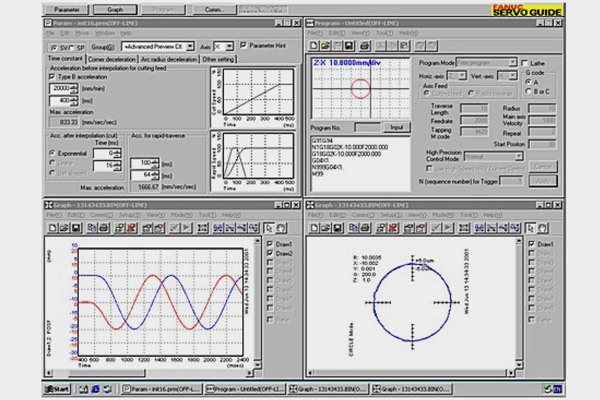 Connecting to your CNC via Ethernet, it provides an integrated environment to test programs and set both the parameters and data measurement required for servo and spindle tuning. Program Transfer Tool enables you to manage part programmes, tool offsets, custom macro value, workpiece origin offset, and tool management using Microsoft Windows®. 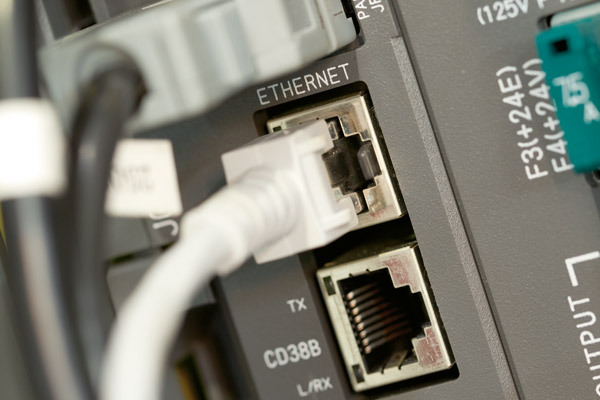 PC, CNC memory or data server connectivity is via Ethernet. 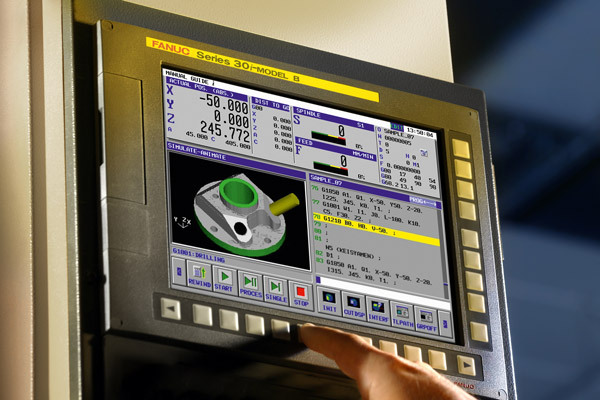 Our best tool for CNC maintenance and setup on open CNC systems, FANUC SDF enables you to access your CNC screen from a PC and makes creating an easy-to-use remote maintenance tool simple. Connection is via HSSB or Ethernet.